Hey crafty friends! 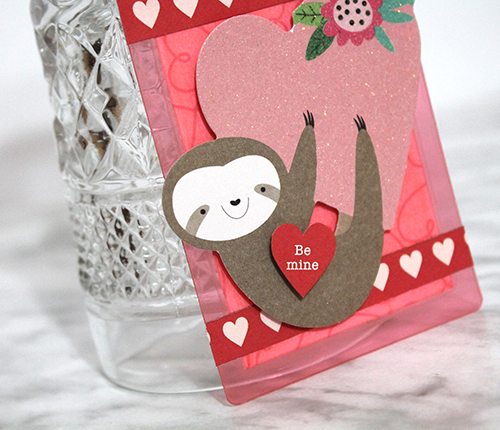 Tracy here, and today I have a quick and easy little Valentine’s project to share. 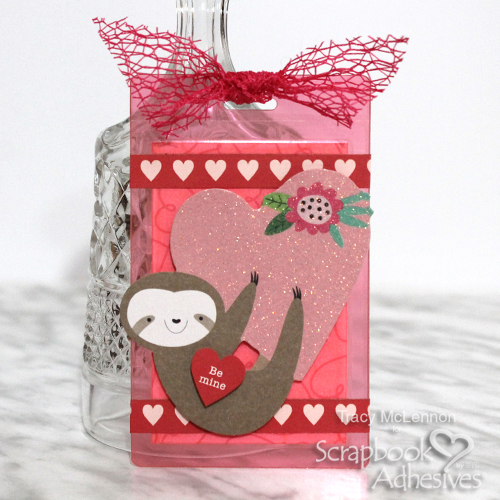 Here is my Easy Valentine’s Day Tag. A few things you may not know about me. First is, February is one of my favourite months. Why? I love winter, and we often get the wildest winter weather in February. February is also my Birthday Month. In fact, TODAY is my birthday, and it happens to be a pretty big one. And finally, it’s the month that celebrates Valentine’s Day. A day to spread a little LOVE is always a great day in my books. 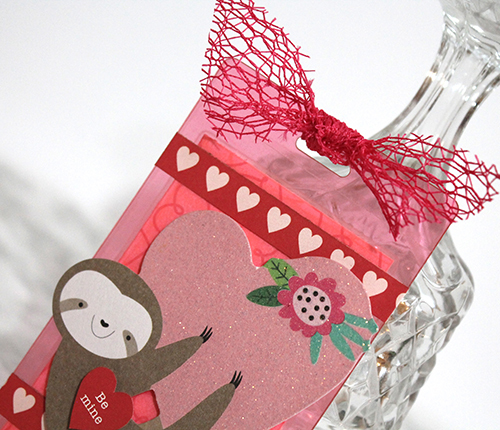 So why not add this Easy Valentine’s Day Tag to a gift for your someone special. 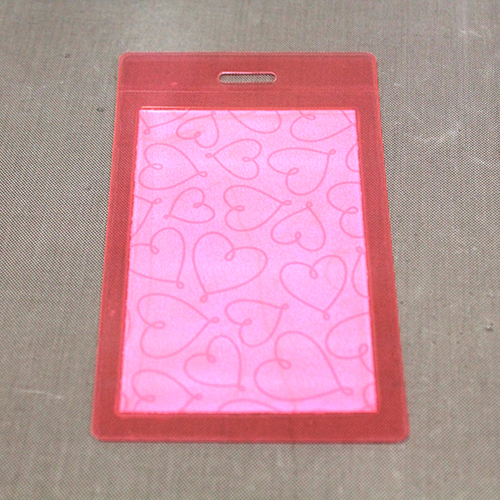 I started my creation with the pink tag from the Self-Laminating Tags with Loops. 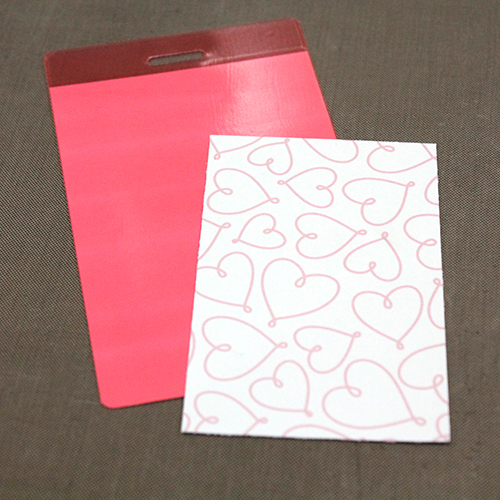 Then cut a piece of patterned paper that is 2.25 x 3.25-inch. Adhere that piece of patterned paper inside the Self-Laminating Tag. 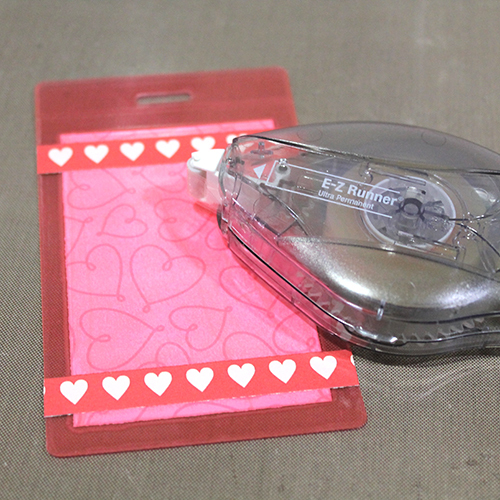 Using the E-Z Runner® Ultra Strong Refillable Dispenser I added strips of patterned paper on the outside of the tag. 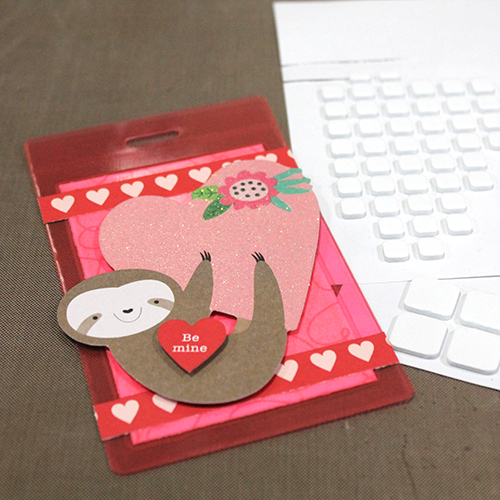 Then added some super cute die cut embellishments using my 3D Foam Squares White Mix. The finished product is a super cute, quick and easy dimensional tag. I added a simple pink mesh bow to the top. The tag opening at the top makes it super easy to tie to any sweet Valentine treat. This entry was posted in 3D Foam Squares, Adhesives, Beginner, Cards, Crafts & Tutorials, Embellishments, Gifts, HomeHobby by 3L, Other Adhesives, Party Favors, Self-Laminating Cards, Skill Level, Tutorial, Winter and tagged 3D Foam Squares Mix White, 3D Foam Squares Regular White, 3D Foam Squares Small White, Card, Card Making, E-Z Runner Grand Ultra Strong Refill, E-Z Runner Ultra Refill, E-Z Runner Ultra Refillable, Gift Tag, Self Laminating Tags with Loop, Tag, Tracy McLennon, Tutorial, Valentine, Valentine's Day. Bookmark the permalink. One Response to "Easy Valentine’s Day Tag"
Very beutifull! I love it.